From the days of ancient Olympics, the one thing that has brought people closer, one thing that has inculcated leadership, courage and skill, one thing that has repeatedly emphasized the importance of teamwork and harmony - is SPORTS. 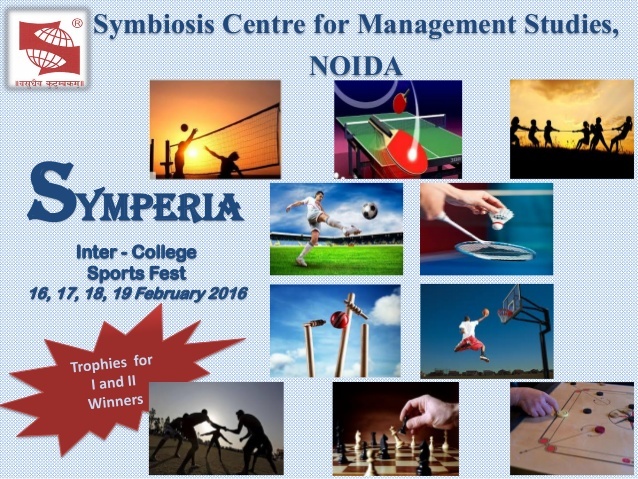 To propagate the spirit of sports among the students and to create awareness regarding health and fitness, and in line with our mission of ‘Swasth Bharat, Sashakt Bharat’, SCMS - NOIDA is organizing its First Inter-College Sports Fest – Symperia 2016, during 16-19 February 2016. 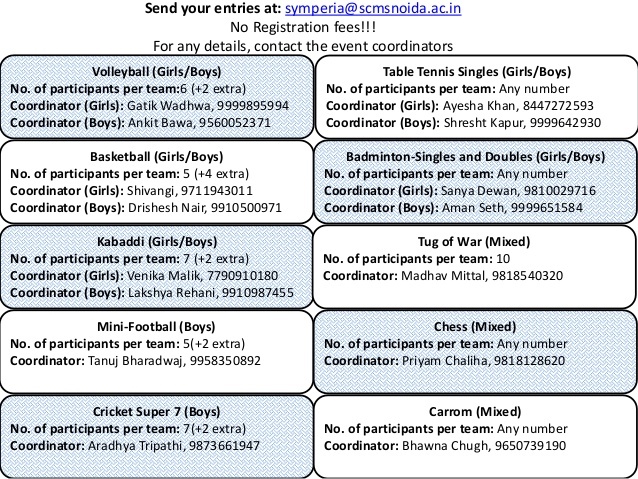 For more details, please contact symperia@scmsnoida.ac.in.